Well we didn’t see this coming! 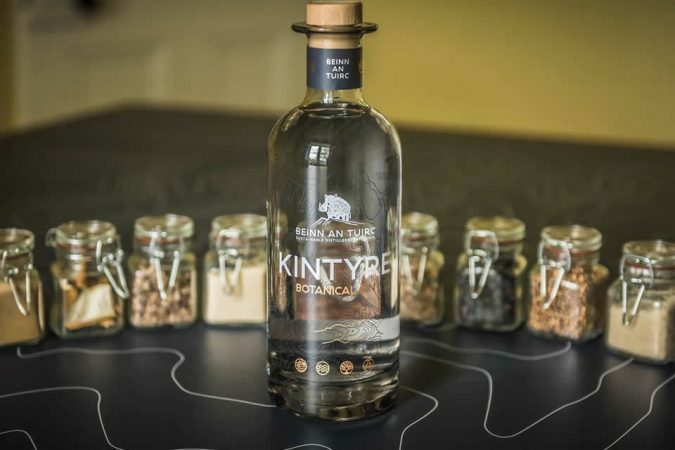 Even after scooping Best Newcomer at the Scottish Gin Awards, we weren’t getting our hopes up too much at the Highlands and Islands Food and Drink Awards which were held at the Kingsmill Hotel in Inverness on Friday night. We were finalists in the Best New Product and Best New Business Categories and the range and quality of businesses and products in both groups was extremely high. The moment before the winning announcement is always awful no matter how much you convince yourself it’s enough just to be shortlisted. We’ve been on the gracious loser side many times! Best Newcomer was up second after dinner and we were braced for hearing another name but were utterly elated when host Jennifer Reoch read out Beinn an Tuirc Distillers as the winner. 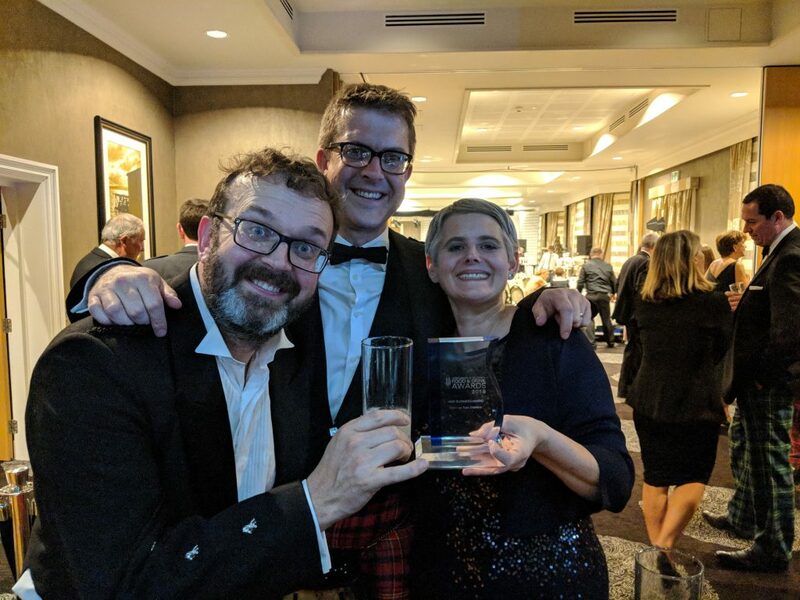 It is a really wonderful feeling and, along with the Best Newcomer accolade from the Scottish Gin Awards, this acknowledgment of our achievements gives such a boost to our confidence as a young company. Best New Product was next but we never really thought we had a chance given the range and innovation of the finalists. Barra Oysters scooped the award with a Highly Commended for Great Glen Charcuterie (we are BIG fans of their venison salami!). Winners! Niall with the Gordon Castle crew! 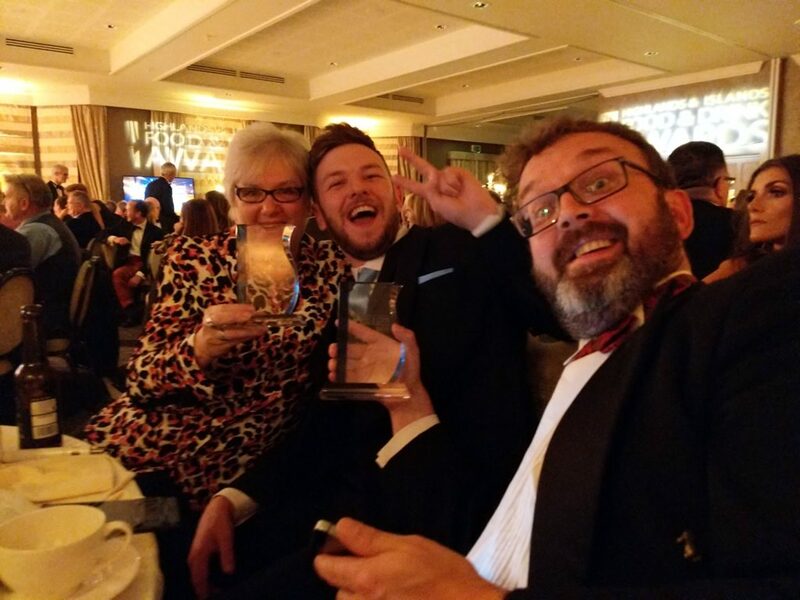 Our table pals were also successful – Spey PR Agency received a Highly Commended for Best Marketing Campaign and Gordon Castle Walled Garden won Best Eatery. It was a really great night. Exquisite food, delicious wine and top class entertainment from the Stand Up Farmer, Jim Smith. Of course we celebrated with far too much of our very own Kintyre Gin but it would have been rude not to. Awards are great (when you win!) but it is vital that we stay focused on what we do best and continue to build on our early successes. We have exciting things in the pipeline and our wee team is growing. 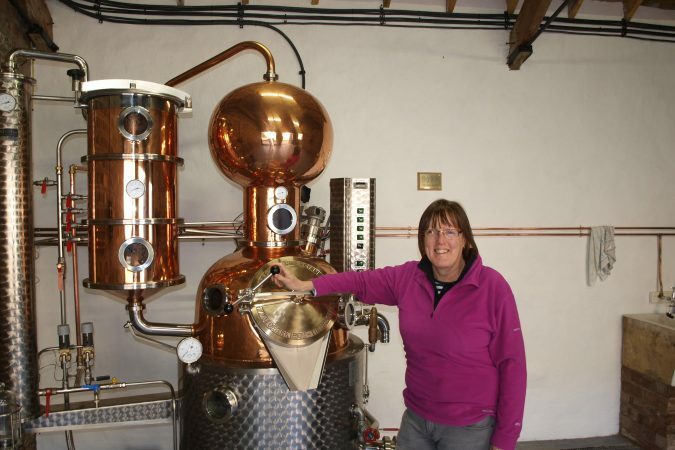 There is no doubt that the Scottish gin industry is continuing to boom but we can’t rest on our laurels if we want to progress from newcomers to serious contenders in the market. With a fantastic team behind us and a range of brilliant products, we are well on our way. 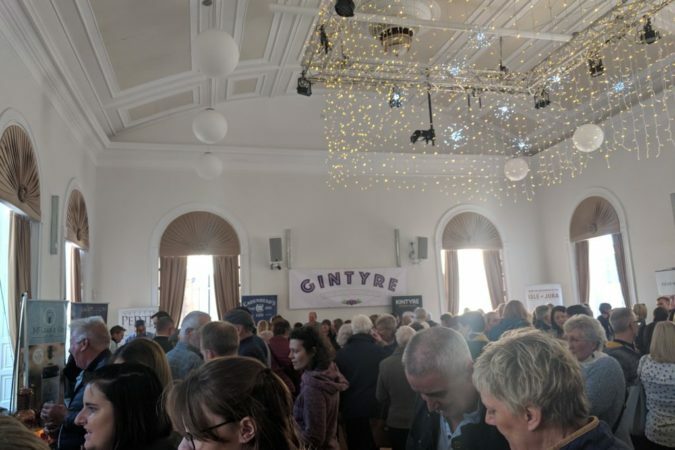 Tagged with: Barra Oysters, Gordon Castle Walled Garden, Great Glen Charcuterie, Highlands and Islands Food and Drink Awards, Jennifer Reoch, Kingsmill Hotel Inverness, kintyre gin, Spey PR, Stand Up Farmer.